The traditional use of a variable frequency drive in a HVAC system has focused on capacity modulation. Recent years have seen variable frequency drives applied to systems for fan and pump balancing, network monitoring of equipment, modulation of multiple motors with one VFD, and peak-shaving of equipment energy use. Expanding variable frequency drive applications have challenged maintenance and engineering managers to become more versed in both product specification and application. Variable frequency drive technology has advanced rapidly in recent years, and understanding the various options for HVAC systems can be confusing. To correctly specify the variable frequency drive, the motor, and its power systems, as well as to maximize the investment in variable frequency drive technology, buyers must pay close attention to key items such as motor specifications, bypass operation, communications, harmonics, shaft grounding, and enclosure types. From the variable frequency drive basics, we know variable frequency drive technology is based on controlling the sine wave amplitude and frequency of alternating current (AC) power as it is applied to the motor. VFDs used for HVAC applications today are typically AC and use technology termed pulse width modulation (PWM). The variable frequency drive converts AC power to direct current (DC) power using rectifiers that act as one-way gates for current. Insulated gate bipolar transistors (IGBT) convert the DC power back to AC power. The IGBTs switch on and off, creating pulses to approximate the sine wave of AC power. The more pulses a VFD has, the more closely the output voltage mirrors a sine wave. The time frame or width of the pulse determines the frequency of the output power. Typical variable frequency drives for HVAC applications have 12 pulses with options for six or 18. The variable frequency drive manufacturer can help determine the optimal number of pulses. New developments in variable frequency drive technology include advanced electronics, reduced size and cost of the VFD, and programming developments. Active-torque tracking is programming within the variable frequency drive that allows the voltage supplied to the motor to drop while the frequency remains fixed for motor speed control. Maximum motor torque requires the highest voltage available and typically is required at start up and full load. Once the variable frequency drive is up to speed, the torque required drops. Standard variable frequency drives use a set voltage/frequency curve, either linear or quadratic, that fixes the motor's speed and torque. The set curve may provide more voltage than needed for the torque required at a given speed. Active torque tracking removes the set curve and allows reductions to the voltage at set frequencies in order to meet the speed and torque requirements, saving energy. The parameter programming has different names that vary by different manufacturers, so buyers should talk with the supplier to specify the programming correctly. To ensure a long variable frequency drive performance life, buyers need to use unique specifications for the motor and wiring. Motors should be rated as inverter duty, meeting requirements under NEMA MG1 Part 31. Inverter-duty motors have insulation rated for higher voltage in order to handle the continuous spikes coming from the variable frequency drives. If the motor is not inverter-duty rated and cannot be replaced, the variable frequency drive manufacturer can recommend power-conditioning equipment to assist in reducing effect of the spikes. The distance between the variable frequency drive and the motor will determine the type of output filter and its effectiveness. A dV/dt filter, output reactor, or sine-wave filter are options for power conditioning. Along with distance concerns, the wiring type and raceway system are important considerations and might be the source of some problems. Basic concerns include interference between power wiring creating noise and affecting nearby critical equipment and controls, along with cable insulation failure. Buyers should discuss wiring installation practices with the variable frequency drive's manufacturer or a consulting engineer to reduce the chances for problems. The type of space, as well as the critical nature of the items conditioned by the equipment, will determine system redundancy and uptime. Variable frequency drive failures are minimal, but they do happen, and repairs usually require the connected equipment to be offline for a period of time. Typical HVAC operations do not require 100 percent uptime, but data centers, hospitals, and laboratories are examples of applications with uptime needs. A buyer's concerns about lost revenue and tenant complaints also might drive uptime requirements. Technicians might use a bypass to maintain operation during failure of the variable frequency drive. The bypass allows power to circumvent the variable frequency drive and apply full power to the connected equipment. It is important to note that the connected equipment will run at full speed during bypass. If the HVAC system controls cannot handle the full speed, a bypass might not be of value. Internal bypasses are located within the variable frequency drive and allow the equipment to operate until technicians can schedule downtime for replacement or repair. External bypasses allow technicians to remove the variable frequency drive from the system for replacement or repair. External bypasses cost significantly more than internal bypasses and require more wall space. Buyers should evaluate the need for a bypass versus the cost and true uptime constraints. Many times, a variable frequency drive might not be the critical point of failure in the HVAC system, and another, less reliable piece of equipment, might cause the most downtime. To use the networking and control functions of variable frequency drives for monitoring and troubleshooting, buyers need to specify several key parameters. The first one is the communications interface card for building automation systems. Communication cards can be BACnet, Modbus, LonWorks, or other proprietary networks. The correct card should be included with the VFD. Another parameter is the location of the system's input and output control points. Are the sensors wired to the building automation system, or to the variable frequency drive directly? The building automation system can send control points to the variable frequency drive, or it can read from the variable frequency drive. The key decision on the setup relates to the reliability of the building automation system network infrastructure. Variable frequency drives with input wired directly to them can act as standalone, single-loop controllers that do not require building automation system input for extended periods of time. If buyers are using the variable frequency drive as standalone control, they need to review the amount of input/output (I/O) modules. 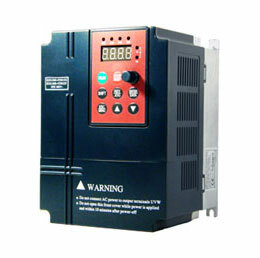 Extra modules can connect to the variable frequency drive as needed. One potential issue with variable frequency drives relates to power-system harmonics, which are current or voltages with carrier frequencies that are integer multiples of the power frequency. They result from the use of non-linear loads, such as variable frequency drives, computers, laser printers, and big-screen televisions. Utility companies typically place limits on harmonics in the primary equipment. Common issues with harmonics include sensitive-equipment malfunctions, communication interference, additional heat generation in transformers and panels, and higher energy bills due to inefficiencies. When non-linear loads represent approximately 30 percent or more of the connected load, buyers should consider scheduling a harmonic analysis. Variable frequency drive vendors, manufacturers and consulting engineers can assist in analyzing and mitigating harmonics within a HVAC system. To assess the harmonics, buyers will need to know variable frequency drive sizes and quantities and provide an electrical one-line diagram of the facility. If harmonics are an issue for DC bus chokes, AC line reactors or the number of pulses in the variable frequency drive might solve the problem. The electronics inside a variable frequency drive can induce a secondary voltage within a motor. If this induced voltage rises above the dielectric properties of the grease in the shaft bearings, the voltage might discharge through the shaft and bearings to the motor housing and to ground. These discharges create craters and pits in the bearings, eventually causing failure. To prevent this type of bearing failure, technicians might need to install a shaft-grounding ring, which allows the voltage discharge to bypass the bearing to the housing and to ground. The cost of these products is such that including them on large motors without a known bearing issue is safe insurance. Variable frequency drives are connected to more motors than ever in HVAC systems because they can provide significant energy savings. The number of applications continues to increase, and manufacturers constantly develop new technology. The items discussed are the basics, and variable frequency drives offer many more attractive options. A thorough review of the system and its operation will help buyers specify only the features their applications truly need.